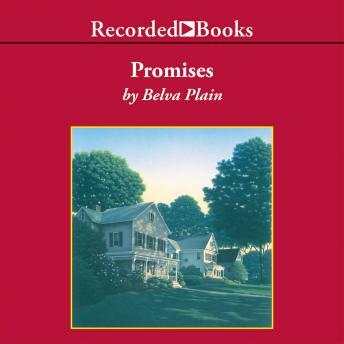 Belva Plain’s novels have become international best sellers. Perceptive chronicles of contemporary family life, they have captivated wide audiences. In Promises, she portrays the devastating impact of an extramarital affair. Margaret and Adam Crane are happy with their professional careers, their three young children, and their home. But when a woman from Adam’s past suddenly appears, she ignites desires that threaten to consume the very fabric of his marriage. In the resulting emotional and financial chaos, Margaret and the children must resist ending up as the casualties of Adam’s adultery. Filled with the touching, familiar details of daily life, Promises is the heartbreaking story of abandoned vows. It raises provocative questions about the nature of commitment, faith and trust. Multi-talented narrator Barbara Rosenblat brings each member of the Crane family poignantly to life.